Regardless of whether your company is a corporation, partnership, a part of a franchise, or a small sole proprietorship, your company is your brand. In modern society, comprehensive information about anything and everything is only a few clicks away for everyone. With such easy access to information, it is now easier than ever to research and evaluate a company, its products, and/or services. Branding is you. Branding is your product. Branding is your image. Branding is every little thing that your customer thinks and perceives about your product. Branding is not pushing your product onto consumers through various marketing efforts. Consider branding more like a pulling tactic – the truth and values of an organization, product, or service that would make someone buy your product/service over another. Am I Branding or Marketing? Just above, we had referred to branding as a pulling tactic. Marketing, on the other hand, is more of a pushing tactic. We refer to it as a pushing tactic because one of the major objectives of marketing is pushing out a message to get sales results in return. Your marketing efforts will contribute to your brand, but your overall brand is much larger than any marketing effort. Everything you do that can be related to a specific product/service is branding. Any form of communication of characteristics, values, and attributes can alter a consumer’s perception of what a brand is (and what a brand isn’t). For example, let’s say you walk into a hardware store looking to get a bit of information on a home project you’ll be undertaking. The customer service representative begins to get annoyed at all of your questions, and other employees shortly do the same. It is likely that you’ll leave store and perceive that company as “non-beginner friendly.” The employees behaviour has now directly influenced the customers perception. You might’ve heard once or twice that first impressions are what matter most. This is very true, especially in terms of branding. Your brand is ultimately what determines if a customer will become loyal or not. If a customer’s first impression of your brand can be defined as negative, what do you think the chances of them returning again are? However, if your brand’s first impression communicates a powerful, positive value or characteristic upon a customer, the chances of them becoming loyal to your company increases. What is the first thing a customer/potential client will notice when entering your store/business? Your first guess might be how clean the business is kept, or the interior decor. Although these are both true, there’s one thing a customer will always notice first – your sign. It’s instinctive in human nature to glance, if not read, the sign of the establishment they are about to enter. A damaged, run down, poor looking sign will instantly communicate to your customer that you aren’t concerned with how your business presents itself, leaving a negative perception in their mind. 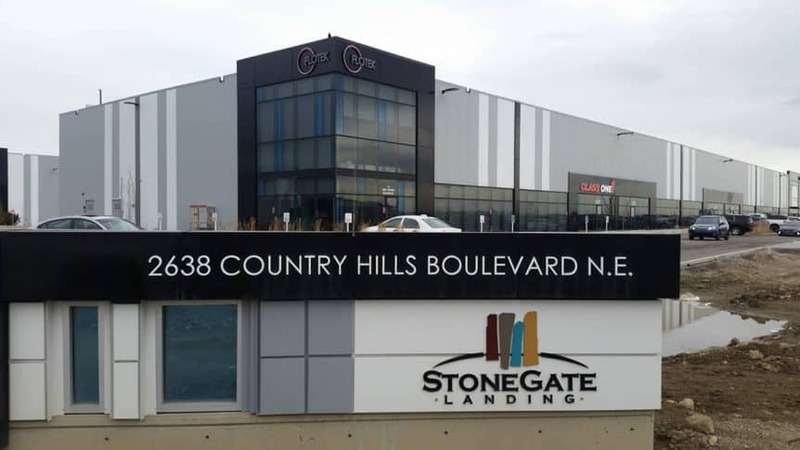 There’s a really good reason why we, Summit Signs & Design, are considered professionals to the Calgary population – We are really good at what we do, and have been since 1972. Regardless of whether you’re looking to give your brand image a complete new make-over, or simply revamp your old one, we have a solution for your business.